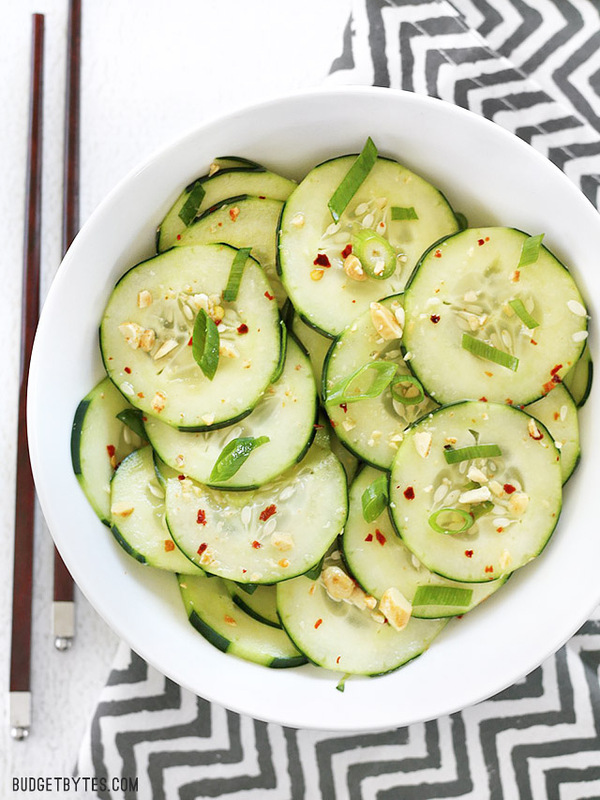 It’s been called “a tropical paradise in your mouth.” Thai Cucumber Salad is sweet and tangy, savory and refreshing, and full of DELICIOUS Asian flavor! Home cooks around the world made this recipe go viral, and after taking your first bite you’ll know exactly why. Thanks to the famous food blog Budget Bytes, this salad is not only ridiculously simple and irresistibly satisfying, it’s also fast and inexpensive. Recipe and photos by Budget Bytes.